There is no question that Caeleb Dressel is one of the most incredible athletes in the world! At the 2018 NCAA Championships, Caeleb Dressel re-wrote the record books recording the fastest 50 yard freestyle time ever three times within 12 hours. He is the first human to break the 18 second barrier in the 50 freestyle, and not just but a slim margin, he absolutely shattered it. Before Caeleb Dressel took the reigns as the best short course yards sprinter in the world upon entering the University of Florida, the fastest 50 freestyle ever recorded was 18.47 by César Cielo (Auburn/Brazil) set back in 2008 at the NCAA Championships. For reference, Caesar Cielo is the 2008 Olympic Champion in the event and still holds the World Record in the 50, 100 Long Course Freestyle. How is Caeleb Dressel So Fast? There are two variables at play when it comes to improving swimming performance: You can either decrease drag, or increase propulsion. The best swimmers in the world continuously focus on improving both of these variables. Dressel is simply better than anyone in the world at every part of the race. His start, underwater streamline, breakout, and over water speed is faster than anyone. When you factor this into the swimming equation, you have a dangerous formula for breaking records and redefining barriers. But Can He Swim In The “Big Pool”? It’s one thing to tear it up in the American Short Course Yards pool, it’s another to break records in the Olympic Distance (50 meter) pool. Many swimming experts would argue, yes – Caeleb Dressel is the best swimmer in the world right now, regardless of pool course. 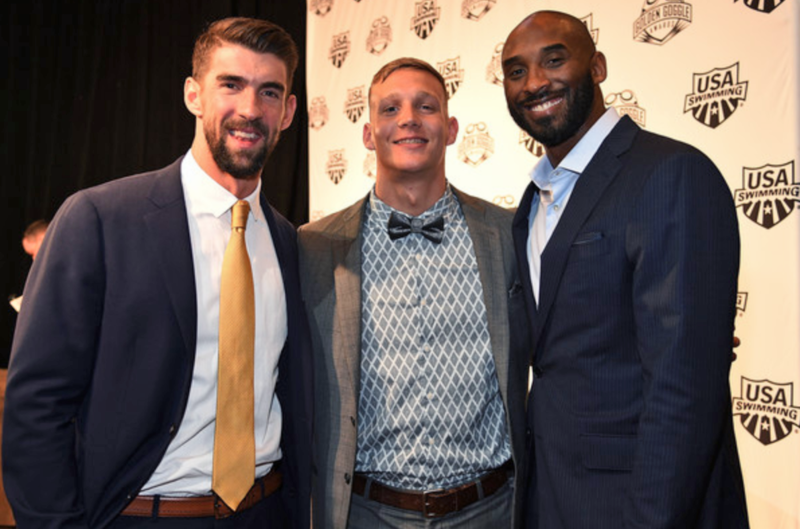 His performances at last summer’s Long Course FINA World Championships (7 Gold Medals) would indicate that regardless of the pool length, Dressel will perform. Specifically his 100m Butterfly time of 49.8 seconds was just a hair (.04) slower than Michael Phelps’s 100m Butterfly world record from the 2009 FINA World Championships in Rome. Should we be surprised by Dressel’s speed? Which record will he break next? Are you ready to take your swimming to the next level? Get workouts, training videos and more with MySwimPro! Download the FREE MySwimPro app for iPhone and Android! If you have any questions about MySwimPro or swimming, send us an email! We’d love to chat!